I have found this very interesting blog from someone named "Cherokee Billie", a psychic and a clairvoyant. She is a Native American living in North America. Its very interesting to know that she has channelled Michael Jackson's spirit. Is it true? Read her blog posts related to her experience by clicking the link after this post. 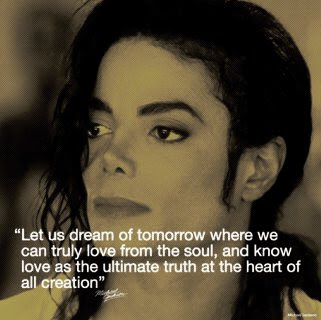 I have read her written messages coming from the Great Spirit, (or Michael Jackson himself) and the words that apparently, from the King of Pop, can help the millions of his fans grieving for his recent passing.